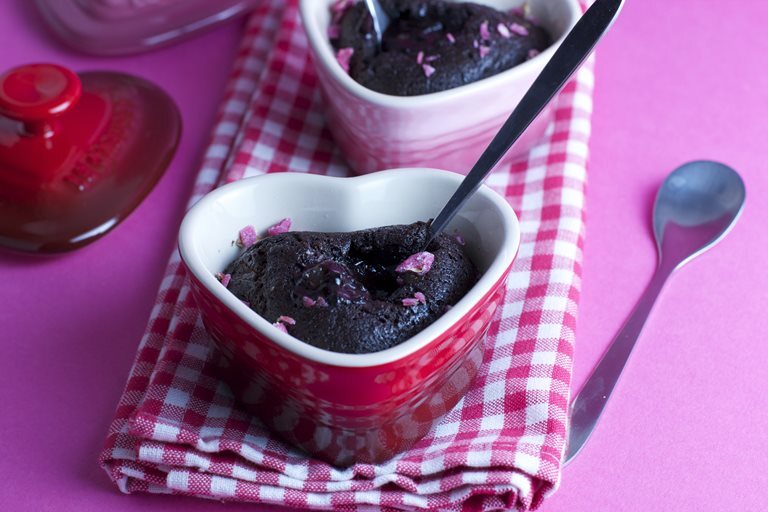 If you want something sweet to delight your Valentine, look no further. These chocolaty treats are perfect for sharing with your loved ones. 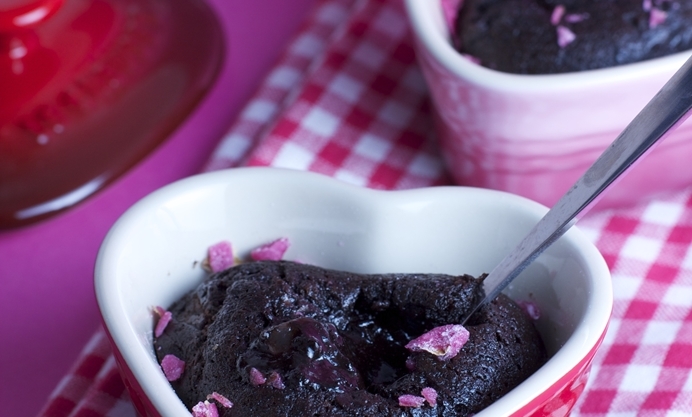 The perfect Valentine’s Day dessert that’s as gooey inside as - hopefully - you’ll feel. This is a quick and easy dessert suitable for intimate suppers for two or just as easy to whip up in larger numbers for a tableful of friends. 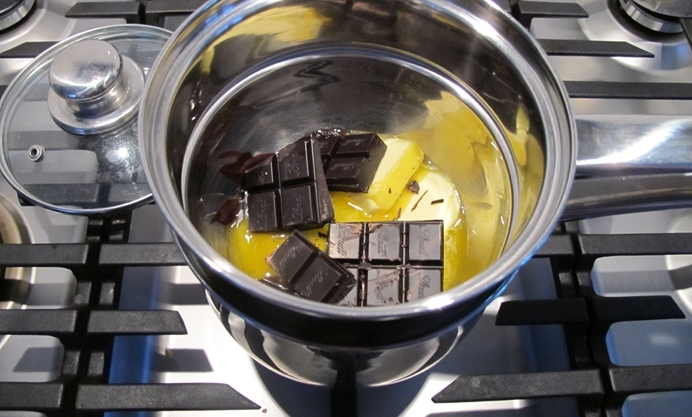 The quantities below will make between 4-6 desserts depending on the size of your ramekins. With a rapid baking time of 7-8 minutes, you can have them ready to serve within half an hour. 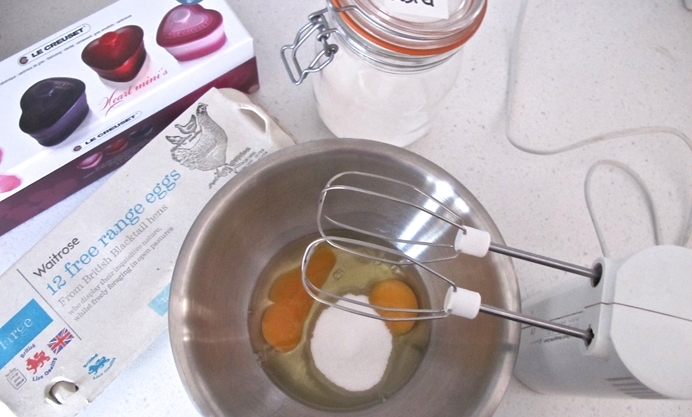 Equally you could have the batter sat in the ramekins in advance then bake at the last minute in the interlude between your main course and dessert. 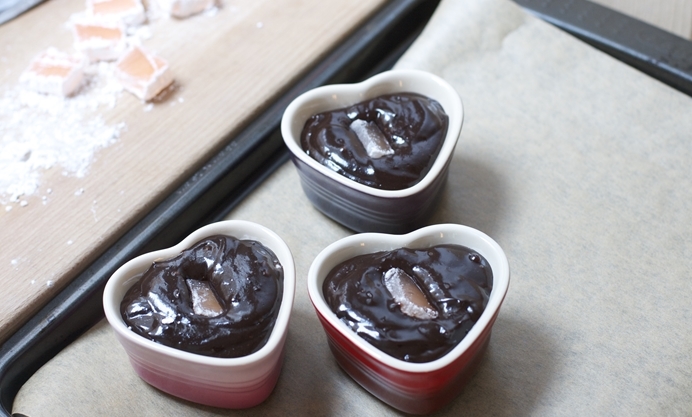 With not even an electric mixer required, there's nothing especially tricky about these melting chocolate puddings, making them an ideal dessert for the less confident cook. The most obvious way to mess this recipe up is by over baking them into small dry cakes. The insides should still be wobbly, so check them after 7-8 minutes’ baking time and have faith that a cooked surface hiding a hot, but unbaked, centre is what you need rather than a solid mass. Two minutes too many will over do it, so if you have someone to impress maybe a practice run would be a good idea! I have used Nielsen Massey rose extract which gives a Turkish delight flavour but used the authentic icing sugar dusted sweets for the molten centres. They’re best served warm and squidgy, when the sweet will melt in the pudding centre. Once cooled again, the Turkish delight solidifies and you can eat them more in the fashion of brownies once cooled down. If Turkish delight isn’t your thing, then any fondant centred chocolate will do the same job, but adjust your flavouring extract accordingly.